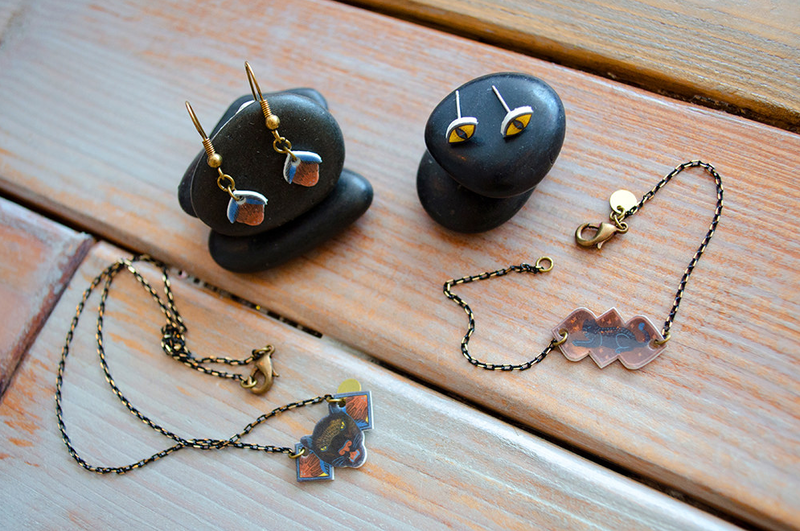 I recently had the honor to work with Light Grey Art Lab again and create a collection of jewelry for their current show, The Omnibus Treasury. I’ve worked with them three times before, and they consistently come up with the coolest ideas for shows (my posts about the last three shows I participated in are here, here, and here). 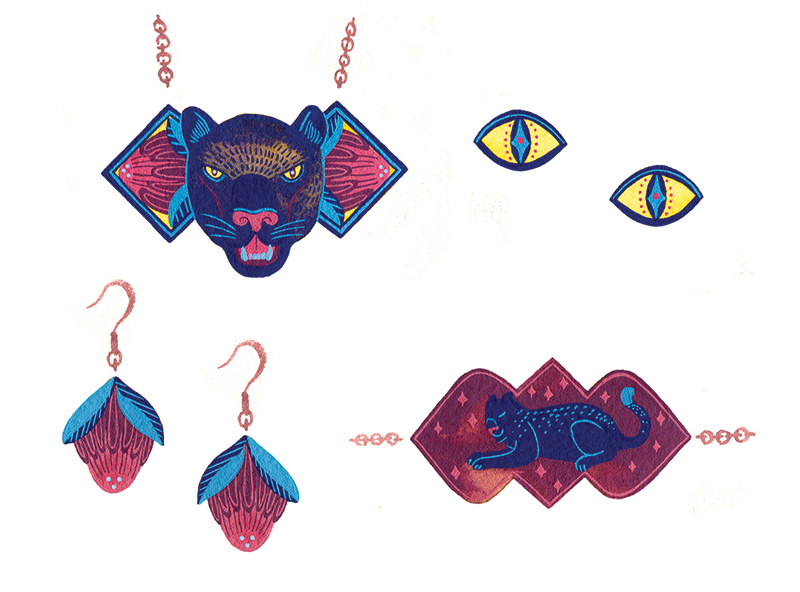 And here’s the beautiful jewelry collection, titled Jungle Lord, they made out of it! Wonderful drawings and the jewelry turned out to be fabulous.